Greetings dear readers and friends! Well, summer is just around the corner and I couldn’t be happier. Now starts the long beach days, longer lunches (capped off with a few glasses of rosé of course), and a general “slowing down” of life in the south – the time of year when Provence really shines. 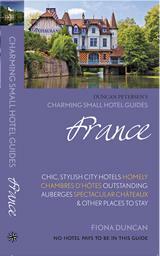 And also a great time of year to visit the South of France and experience all the wonders of the region. A few weeks ago, I was lucky enough to participate in one such experience that is certain to be a favorite for discerning foodies visiting Provence – a pastry class in the heart of Aix-en-Provence. I was invited to this lovely afternoon by Guest in the City, which proposes a very interesting way to get to know a city / region on your travels – by eating, touring, and tasting with the locals. You can do a food tour in Marseille, take part in a family dinner near Toulouse, or do a “treasure hunt” to (re)discover Paris. There are also cooking classes, wine-tastings, and historical walking tours to choose from (among others). With so many great activities in the area, it was hard to pick just one. In the end, a Saturday-morning pastry class in Aix-en-Provence was a great fit. I got to enjoy a stroll in the market before the class started at 10am, and the end-time of 12:30pm was a perfect transition to lunch. And the chef, Mathilde, was a wonderful teacher. The theme for the day was “Fraisier”, which is a strawberry layered-cake filled with pastry cream and surrounded by sliced strawberries – totally delicious. And funny enough, I’ve wanted to learn how to make a fraisier since I arrived in France. If you get the presentation right, as Mathilde certainly did, a fraisier is a visual treat for guests and provides a real “wow” factor for your dessert course. French pastries are known for their complexity, so the best thing I enjoyed about the class was having the fraisier broken-down into workable steps. Learning how to make the pastry cream was a real eye-opener because, although time-consuming, it wasn’t as complicated as I’d imagined. Mathilde even managed to add some pistachio flavoring to half of the cream, which allowed us to make two delicious versions of our cakes. Another thing I really appreciated about the class was the positive atmosphere and working as a team with the other “students”. Tasks were often divided between two people, so we were able to help each other and show “tips” that we had picked up after a few tries. Like how to turn the spatula in just the right way that would spread the cake batter thin enough, without going over the sides. Or the right gesture for folding in the whipped egg whites to get the right consistency for our cream. Although my two mini-fraisiers didn’t turn out exactly as beautiful as the one Mathilde made, I feel confident that I could make them again and, like they say, practice makes perfect. One thing I do know for sure, no matter how lopsided they looked, my husband ate both with zero complaints. 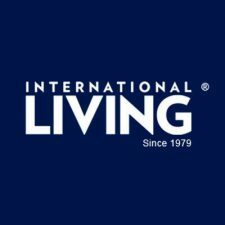 If you’re interested in booking an activity with Guest in the City, all you need to do is go to their site and start browsing for a meal or activity in a region of your choice. Then you select your activity and reserve, and pay, directly on their site. There are tons (tons!) of activities to choose from, and several different categories. 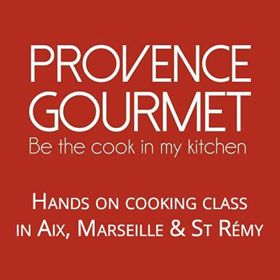 I got stuck alone on the cooking class page that has way too many great classes – from Paris to Provence. If you have a particular talent / activity / experience to share, you can also sign up to be a host yourself. A very big merci to Guest in the City for this fabulous pastry class and looking forward to more late-night browsing and adding to my “wish list”! *Please also find Guest in the City on Facebook, Twitter, and Instagram. Thanks so much for your comment Krista, hope you are doing well!